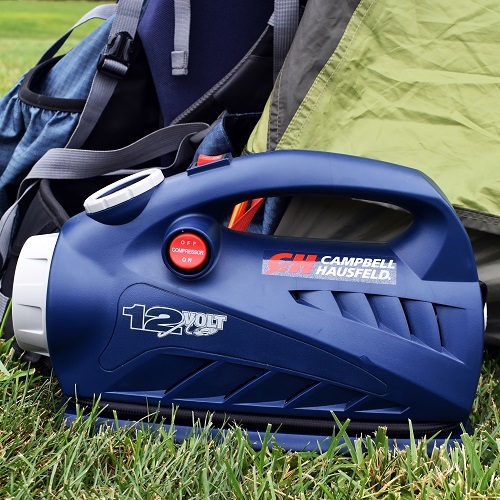 The Campbell Hausfeld 12-Volt inflator with safety light (AF010800) features an innovative design with two inflators in one. 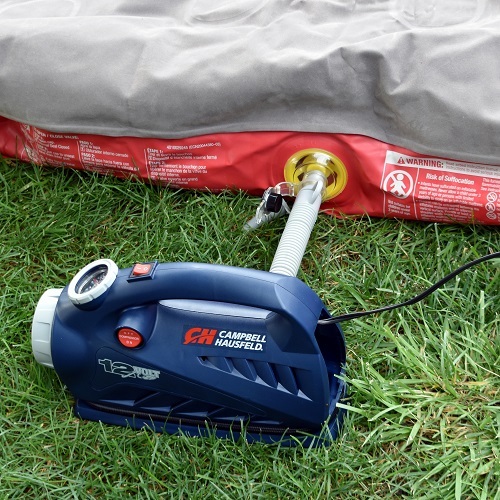 High-flow feature allows you to quickly inflate air mattresses, rafts and other low pressure/ high-volume items. 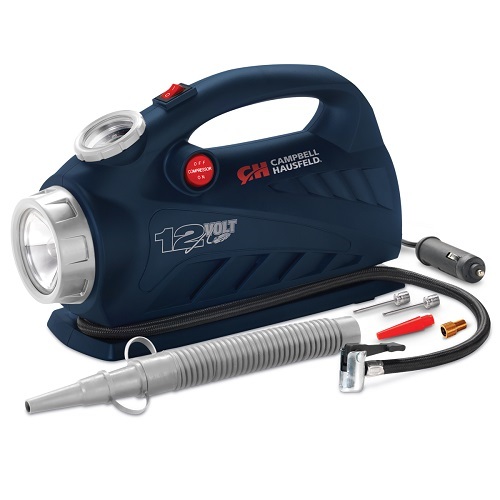 The high-pressure pump (150 maximum PSI) inflates a wide variety of Inflatable items including sports balls, bicycle, car, Truck and suv tires. 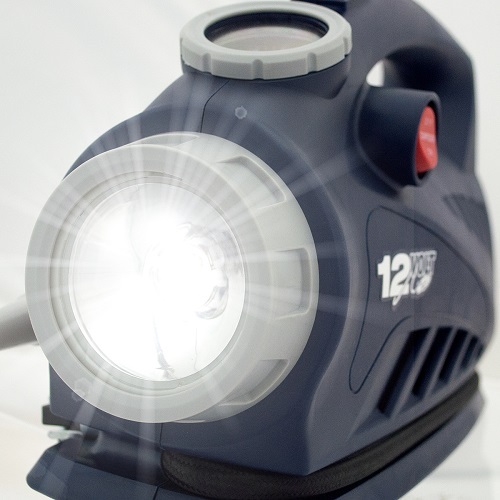 The light is perfect for night-time roadside emergencies− lighting your work area while allowing other motorists to see you. 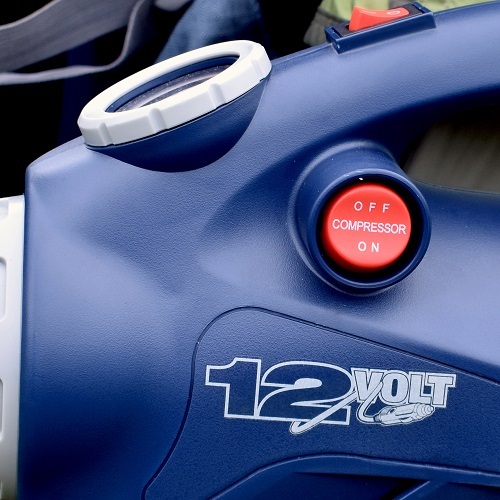 The easy to use Lock air valve allows for easy inflation. 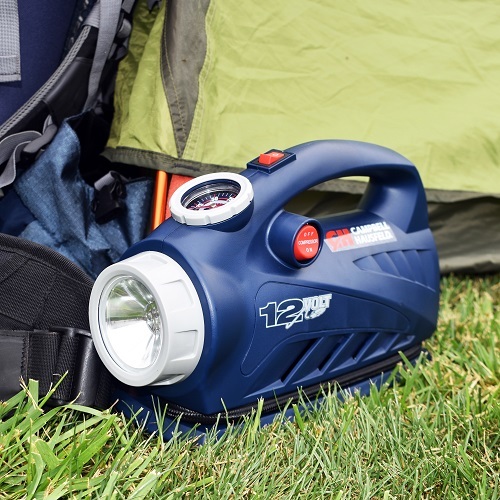 Powered by a 12-Volt outlet for portability and convenience, keep this handy inflator in your trunk or glove compartment for peace of mind. 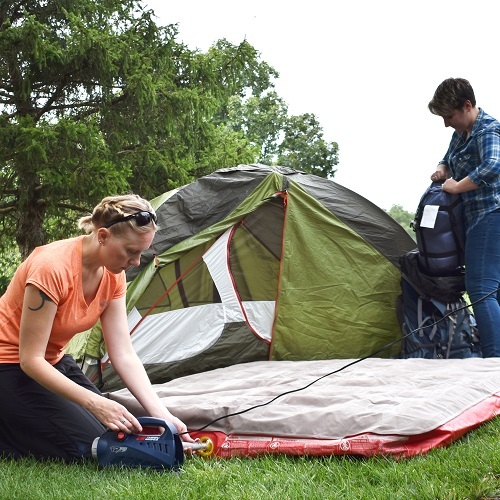 Includes sport needle and raft/air Mattress adapter nozzle. Finish your projects faster and easier with Campbell Hausfeld - The Air Power Expert.